Large, busy campgrounds have never appealed to me. Instead, I like to pitch my tent at places that are fairly quiet with a minimal number of other visitors. 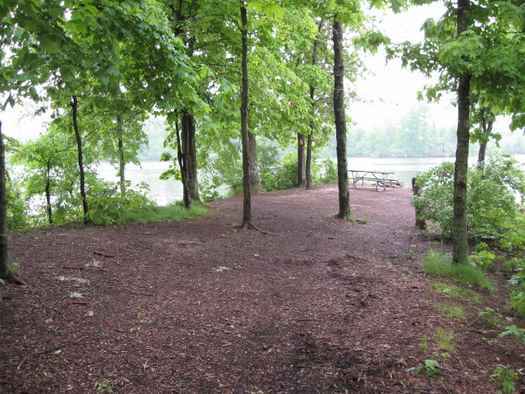 Good camping spots also should offer hiking trails to explore, picnicking grounds conducive to cooking out and napping, and rivers and lakes that give one’s mind opportunities to wander. 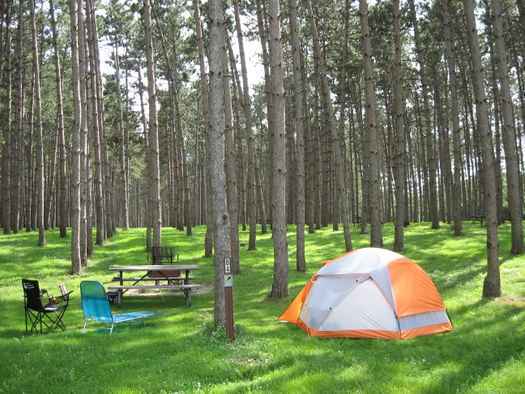 Here are a few places in northern Illinois that qualify as top-notch camping spots. All of these destinations are included in my book, Camping Illinois. 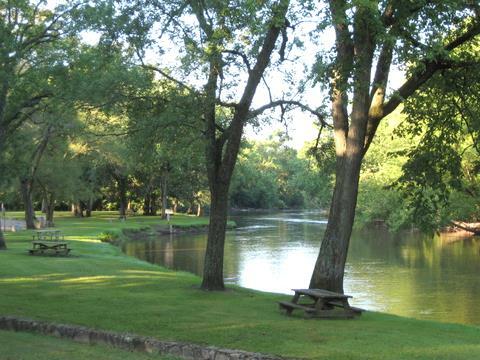 Located about 130 miles northwest of Chicago, this off-the-beaten-path campground offers one of the most beautiful settings in northern Illinois. 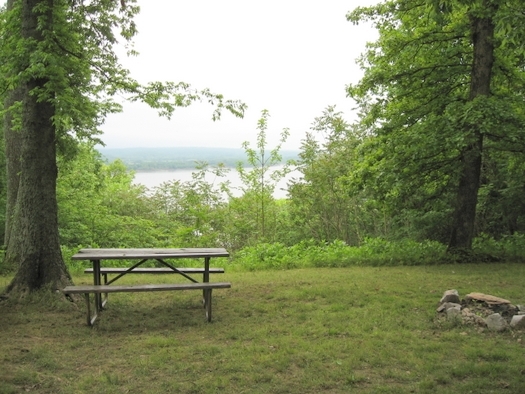 The campsites are nicely spaced out; thick groves of oak and maple provide campers with plenty of shade and privacy. The Apple River flows through a series of limestone canyons within the park. The walls of the canyons are dotted with mosses, lichens, and small bushes that grow in the crevices. 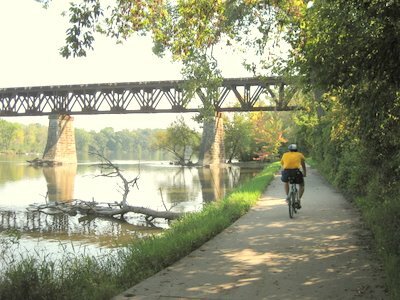 Hiking trails allow visitors to catch the views from atop the limestone bluffs, explore the deep ravines, and wander alongside the Apple River. 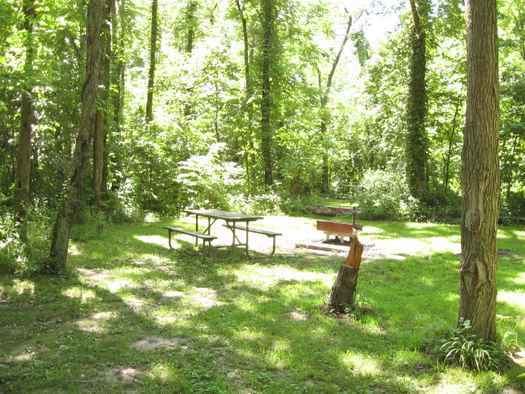 Winnebago County in north central Illinois claims an impressive collection of scenic, well-maintained forest preserves. 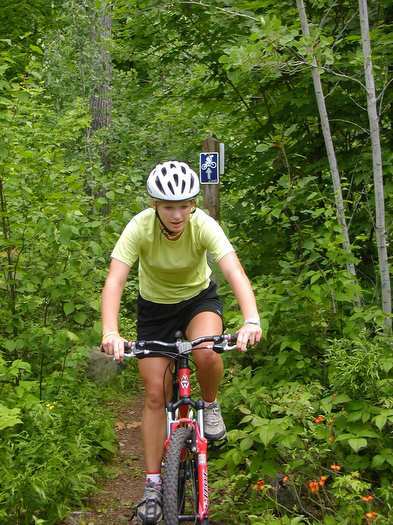 One of the best contains an attractive campground set within a dense grove of pine trees situated near the Sugar River. The surrounding terrain features prairie, wooded bluffs, and a perfect grassy picnic area beside the meandering river. 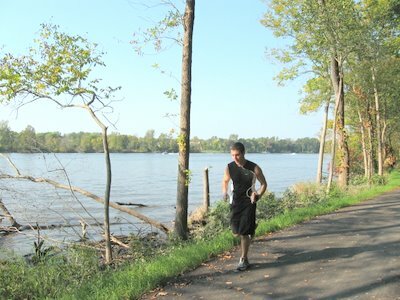 This forest preserve also offers 5.5 miles of hiking trails, as well as a collection of riverside walk-in camping sites (a great avenue for those of us city dwellers who ache for solitude). 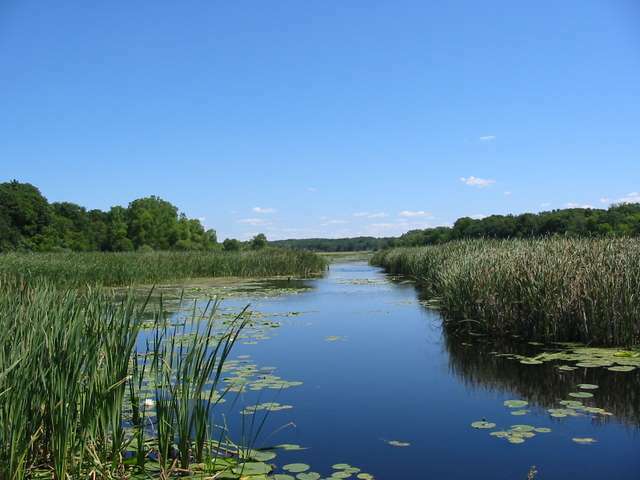 Sugar River Forest Preserve is located about 100 miles northwest of Chicago. Situated up on a ridge left by the last glacier, this wonderfully wooded landscape provides visitors with an unusually isolated atmosphere about 60 miles northwest of Chicago. The pine tree-laden tenting campsites offer lots of privacy; about half of them require a short walk from the parking spot. The hiking trails at Marengo Ridge are reason enough to visit this remote little forest preserve–they run through hilly terrain crisscrossed with intermittent streams and blanketed with dense groves of oak, hickory, and conifers. 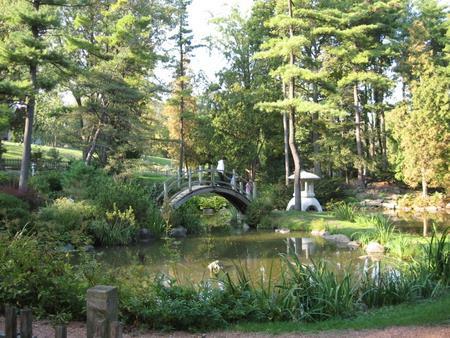 This charming 385-acre park invites visitors to explore the hilly terrain, traverse the many log footbridges over Pine and Spring Creeks, and trace the route of the creeks as they flow past moss- and vine-covered limestone cliffs. From the semi-open camping area, you’ll walk less than a mile for breakfast at the park’s log-cabin style lodge built by the Civilian Conservation Corps in the 1930s. A bit larger than the other campgrounds listed here, White Pines wins the prize for the niftiest stuff to do in the immediate area. Nearby are the pleasant little towns of Oregon and Dixon along the Rock River. 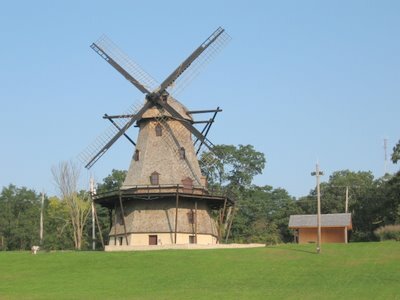 Also close are Castle Rock State Park, Lowden State Park containing the 50-foot concrete statue of a Native American on the river bluff, and the strange, shrine-like John Deere museum and historic site. 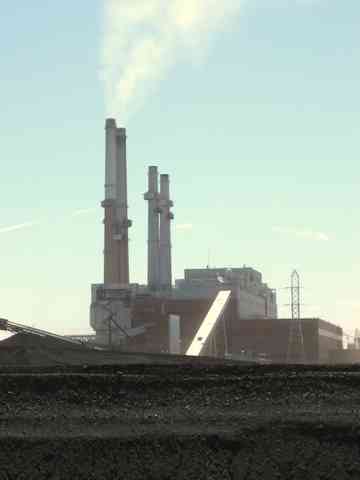 White Pines is located about 90 miles west of Chicago. None of the destinations listed above are known for being overly busy, even on weekends. All bets are off, however, on holiday weekends. The best approach is to call the park and ask what they expect for a particular weekend. If visiting during the week, expect plenty of solitude. Prairie Fever is powered by	WordPress 3.5.1 and delivered to you in 0.218 seconds using 29 queries.